Our guide service is pleased to offer exactly what women want. 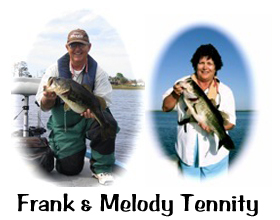 Melody is a skilled tournament angler who enjoys fishing. 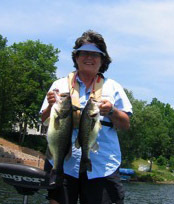 You now have the opportunity to spend time on the water with another woman who will answer your angling questions. Melody owns a fully rigged bassboat for your guided trip: a perfect opportunity for a woman or a mother and child wishing to experience the joy of fishing. Many of you have fished with a loved one or a friend and the trip was frustrating. Their patience was often left at home while you needed help. They want to fish and you want to learn. Time out! View our fishing rates & packages.